Bridal Eyewear by Karen Louise is the original Bridal spectacle outlet. 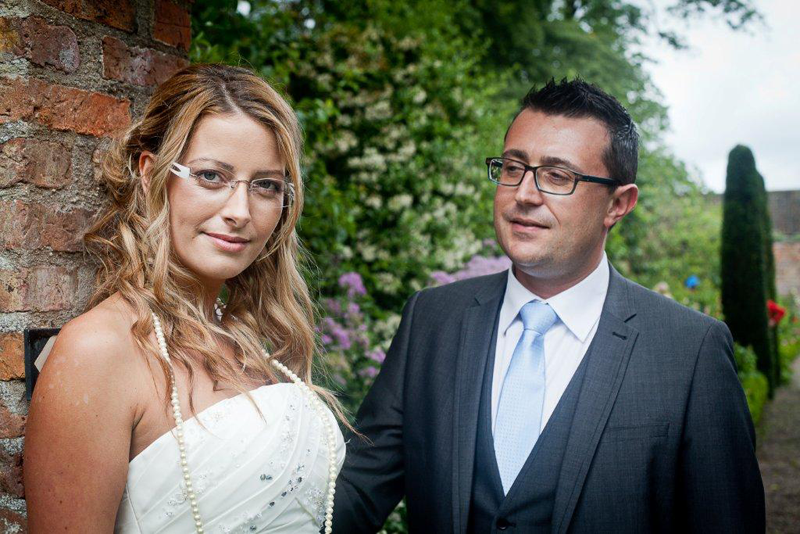 Brides for many years have been discouraged from wearing spectacles on their wedding day. They have been told that spectacles will change the appearance of their outfit. 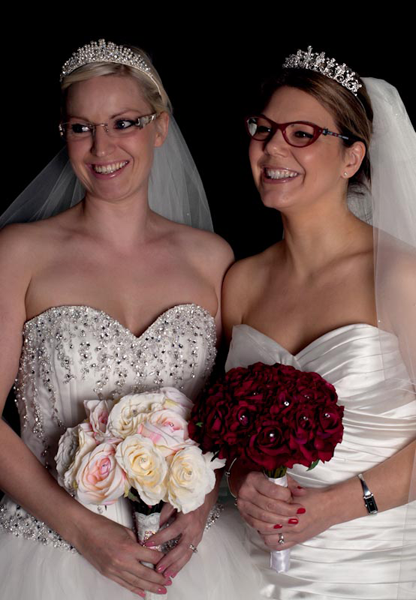 Bridal Eyewear by Karen Louise agrees they will change the look of the outfit by complimenting it not spoiling it. 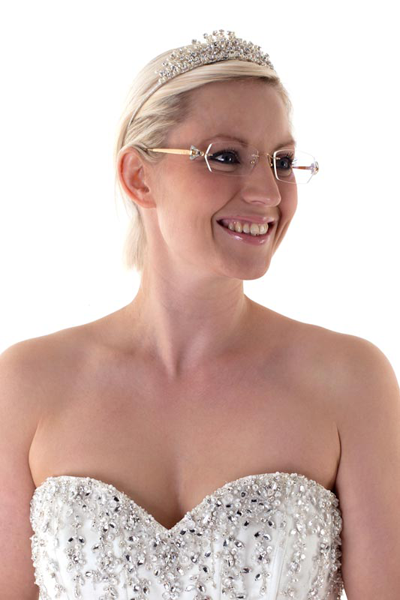 We think Brides should be wearing their spectacles with pride and should have the perfect pair of glasses for their perfect day. 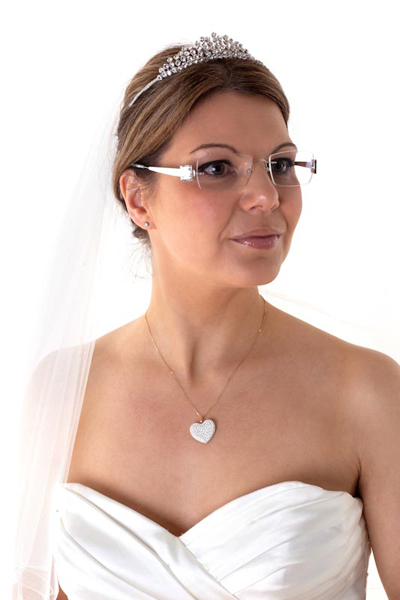 We have a range of exclusive spectacles handpicked for that special day, designed to complement the veil and tiara and fit in perfectly with the princess image. We have spectacles that will sparkle, spectacles that will blend in and disappear or spectacles that will help to make the statement of ‘I wear glasses and I am proud of it’. 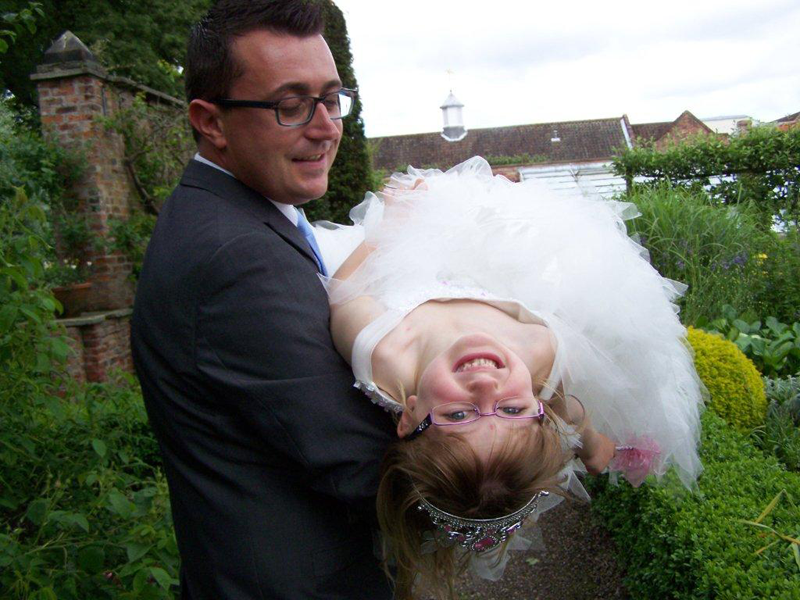 One huge advantage of the spectacles purchased from Bridal Eyewear is that you can wear them over and over again. Karen Louise who is a qualified Dispensing Optician will give an honest, expert opinion based on her twenty years of experience working with people and spectacles. She will take into consideration your prescription as well as the theme for the day. Bridal Eyewear by Karen Louise is not just for the Bride. Karen Louise will be able to consult with the whole wedding party including, Groom, Mothers of Bride and Groom, Fathers, Bridesmaids and Groomsmen. 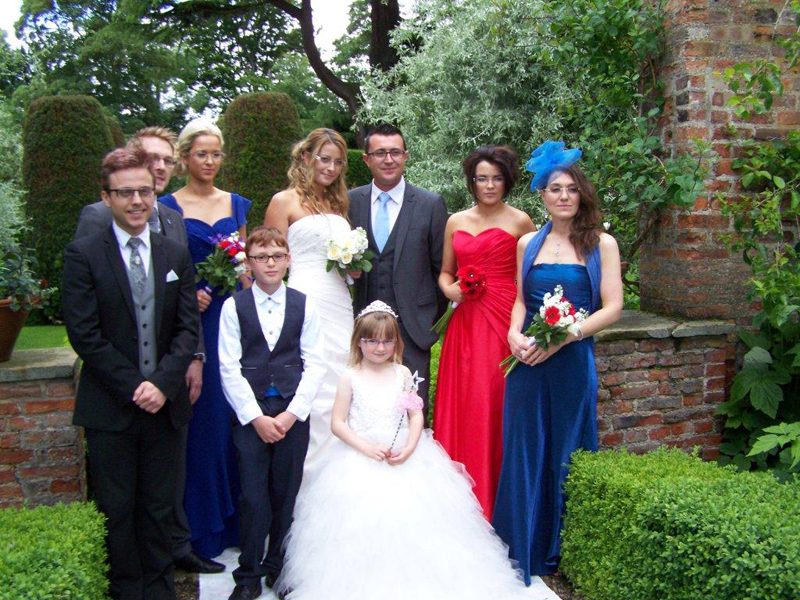 Bridal Eyewear will also be happy to consult with clients who require spectacles or sunglasses for other special occasions such as Proms, a day at the races, that special party, christening or day out. Karen Louise now works with many Bridal boutiques and Gown designers as well as photographers to help create that stunning look in glasses. After an appointment with Karen Louise you will leave feeling extra special and confident that your spectacles are not just a functional item but are now face jewellery designed for you.